Singapore – as a global center of socio-economic commerce and cultural and social developments – possesses the necessary ingredients for sustained Smart City developments, says IDC Government Insights. While it is still unclear which paths lead to the success of Smart City implementations, IDC Government Insights explains that this forecast relates to an effective and innovative strategic leadership as well as strengths in close cross-industry ties across a multitude of technology and business partners alike to drive the necessary future developments of its city. The term “SmartCity” has a broad definition. Smart Cities can be a district, town, city, county, metropolitan area, city state (e.g., Singapore), or even functionally clustered government operations such as public order and safety, transportation, healthcare, and education sectors. Such next-generation models of cities are anticipated to capture, analyze, and use information to achieve over-arching long-term sustainability goals around improving the lives of their residents, business, and government services. In line with that, the Singapore government recently unveiled plans to enhance existing SmartCity initiatives through the use of sensor technologies that monitor air and water quality, transport and public safety operations. According to IDC Government Insights, a successful SmartCity program needs to continually engage citizens and private entities to define the strategic direction and city priorities through a thoroughly planned technological enablement and assimilation. 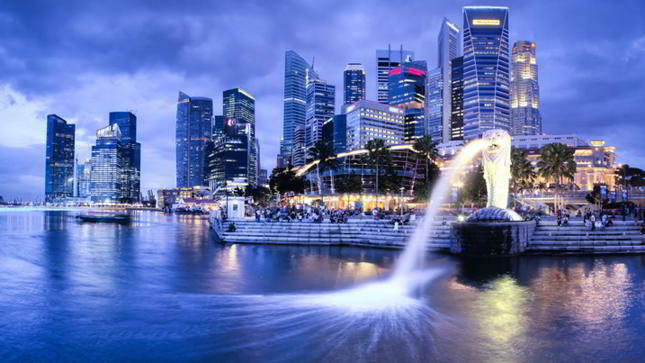 With rapid urbanization, migration and population growth, coupled with constrained socio-economic resources and aging infrastructures, Singapore is seeking investments in SmartCity solutions for its future generations. • Driving demand for domestic manpower as well as sustained ICT capability building.